1. How to place PCB orders at PCBWay. 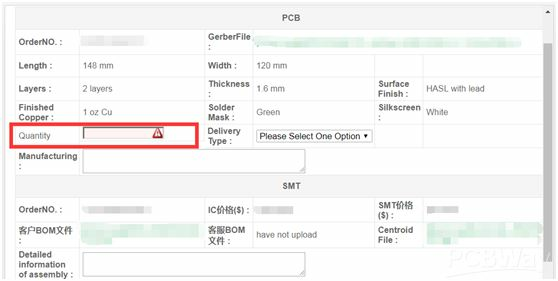 Please login your account at PCBWay and find the completed orders on the left side of the page in the blue frame, see below picture, you will find the PCB orders which are in the status of order completed, then you can click the green button “Repeat Order” in the red frame. 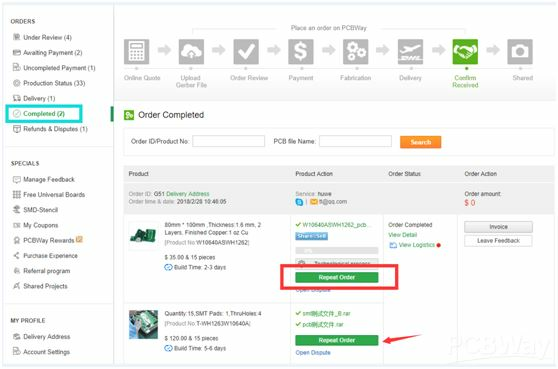 Next step you just need to choose the reorder quantity and other PCB parameters you need, see below reference picture and submit the repeat order, after that you will have the repeat order in your account. 1. How to place repeat SMT orders. Please login your account at PCBWay and find the completed orders on the left side of the page in the blue frame, see below picture, you will find the SMT orders (eg. Product No. "T-WH1263w10540A") which are in the status of order completed, then you can click the green button “Repeat Order” pointed by the red arrow. 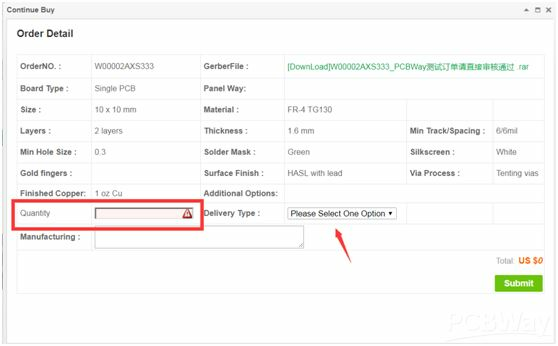 Next step you just need to choose the reorder quantity and other PCB parameters you need, see below reference picture, and submit the reorder, after that you will have the repeat SMT orders in your account.